Sri Lankan left-arm spinner Rangana Herath has been having a tremendous run over the past 4 to 5 years. The 38-year old, who made his debut back in 1999, spent most part of his career in the shadow of legendary off-spinner Muttiah Muralitharan. However, Herath came into prominence after Murali quit the Test arena in 2010 and has particularly been on a roll since 2012 with a staggering tally of 232 wickets in 41 Tests. Although he may be in his late 30s, Rangana Herath currently leads Sri Lanka’s bowling attack and seems to be getting better with every match. Former Australian cricketer Brett Lee has etched his name in cricket history as one of the fastest bowlers to have played the game. Although Lee enjoyed more success in limited-overs cricket, he had a very decent Test career as well, claiming 310 wickets in 76 Tests. The New South Wales pacer may have picked wickets throughout his run in the longest format but he was at his consistent best in the last 3-4 years of his career. 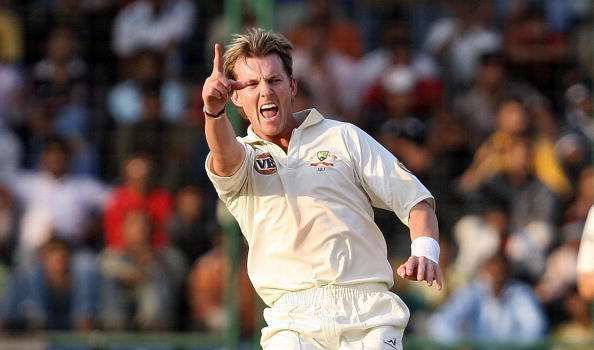 During this period, Lee grabbed 171 wickets in 39 Tests, including his best match figures of 9 for 171. Brett Lee may have been able to achieve much more in Tests had he not quit the format prematurely in order to extend his limited-overs career.